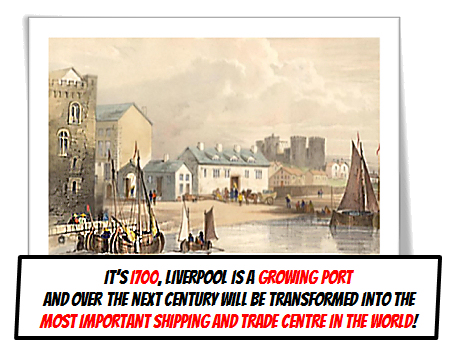 Its 1700, Liverpool is a growing port and over the next 100 years it will be transformed into the most important shipping and trade centre in the world. 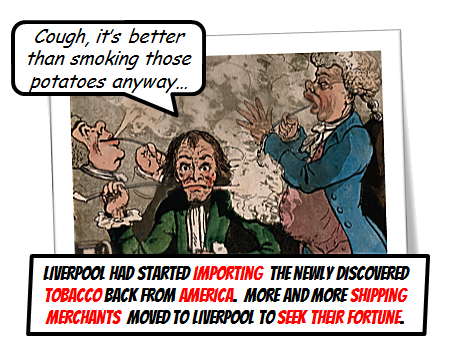 Since the late 1600’s Liverpool had started importing the newly discovered tobacco back from America. More and more shipping merchants move to Liverpool to seek their fortune. 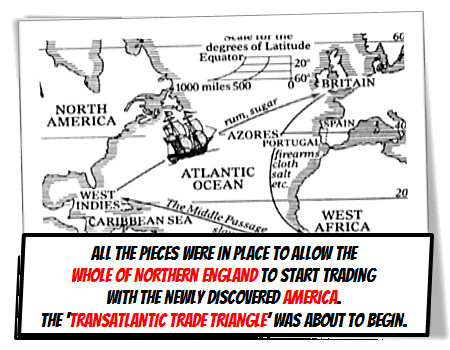 All the pieces are in place to allow the whole of the Northern England to start trading with the newly discovered America. The ‘transatlantic trade triangle’ is about to begin. 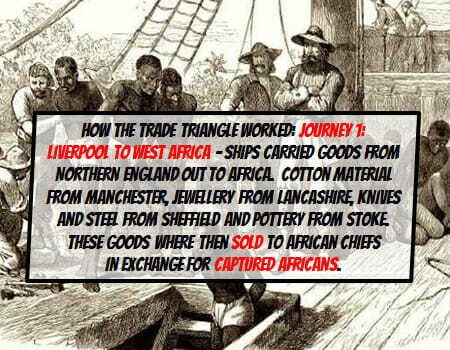 Liverpool to West Africa – Ships carried goods from Northern England out to Africa. Cotton material from Manchester, jewellery from Lancashire, knives and steel from Sheffield, Pottery from Stoke. These goods where then sold to African Chiefs in exchange for captured Africans. The slave trade in Africa had been long practiced by Muslim Slave Traders for 100’s of years who took far more people from Africa over a much longer period than any European traders did. West Africa to America – The enslaved Africans were shipped across the Atlantic Ocean to the Caribbean and North and South America to work as unpaid slaves. The journey usually took six to eight weeks. Conditions on-board were terrible and many died. 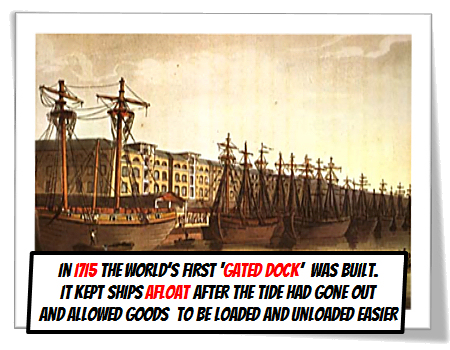 America to Liverpool – Before returning back to Liverpool, the traders stocked up with new and exciting things like sugar, coffee, cocoa, raw cotton and tobacco to bring back to home. No actual Slaves were every bought or sold in Liverpool. 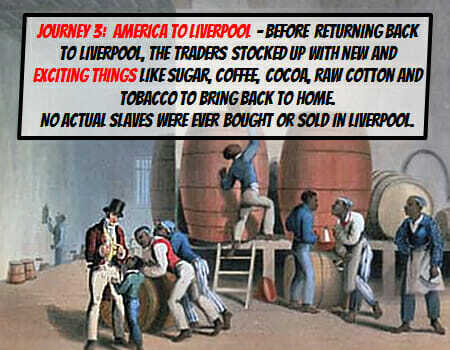 Liverpool’s played a huge part in the slave trade, but it did not play as big a part in Liverpool’s own history. It is thought only 10-30% of the ships leaving Liverpool during the period were actually destined for Africa. 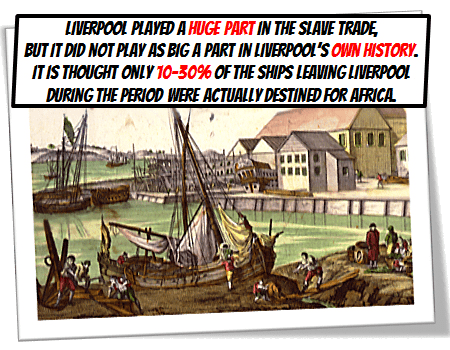 By the end of the 1700’s Liverpool lead the way to abolish the African slave trade. 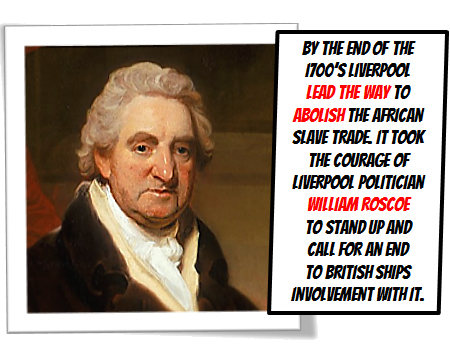 It took the courage of Liverpool politician William Roscoe to stand up and call for an end to British ships involvement with it.